After hearing Kanhaiya Kumar Patiala House Court sent him 14 days judicial custody. He will be behind the bar till March 2. 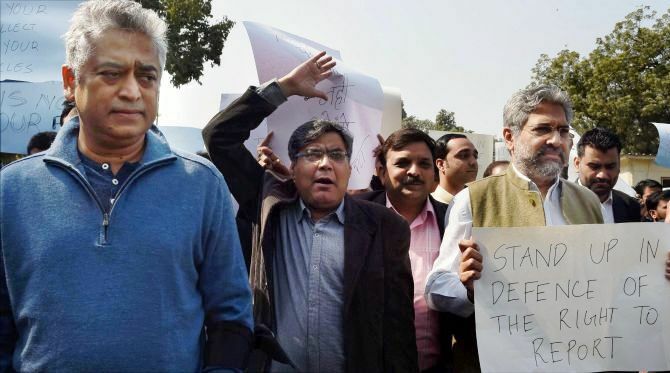 However the lawyers’ demonstration and protesting against Kanhaiya Kumar was continued. His medical examination was done in court premises, but the police faced many hurdles to carry him into the court lock-up. 100 of lawyers were the bystanders and shouting the slogans. Seeing the situation worsening police with Kanhaiya went into court by back door. Kanhaiya Kumar will be detainee of prison no 3 into Tihar jail. According to the information, he will be under high security so he can be isolated from other prisoners. Kanhaiya’s native home is in Masnadpur Tola in Bihat village under Barauni police station, about 30 km from the town headquarters of Begusarai. The JNUSU president’s mother Meena Devi is an Aganwadi worker, earning Rs 4,000 a month and running the household. Jaishankar is confined to his home due to paralytic stroke two years ago. After clearing MA from Nalanda Open University in Bihar, Kanhaiya had joined JNU in 2011 to pursue an MPhil in International Studies. He is now in the final year of his PhD. Meanwhile Kanhaiya stated before court that the crowds in court premises assaulted him. The Supreme Court commissioned 5 lawyers as observer who had faced the wrath by stone pelting there. 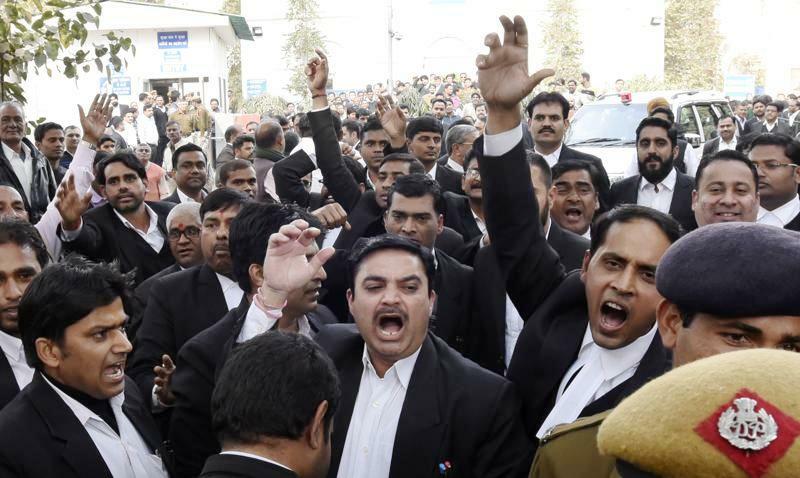 A group of lawyers in Patiala House shouted slogan demonstrating against these lawyers. Despite being directed by Supreme Court, the security arrangement failed in Patiala house court. The 5 lawyers’ commission reached Patiala House court. Indira Jai Singh apprised to Supreme Court all the happening of Patiala House. The Chaos was seen again during the appearance of Kanhaiya Kumar, president of JNU Students Union before the court on Wednesday afternoon this week. 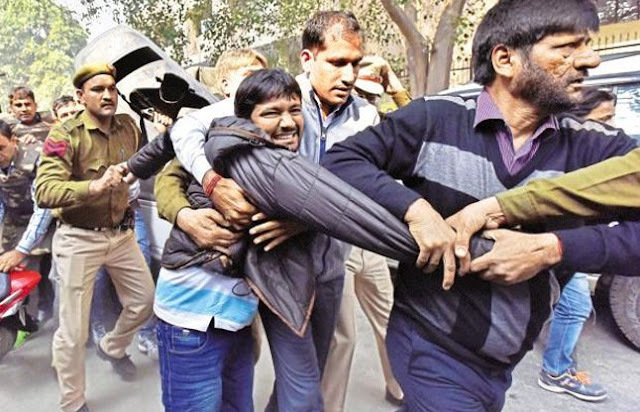 The skirmish between the lawyers and the JNU students occurred, where the assault on Kanhaiya Kumar was reported. The Supreme Court has summoned Delhi Police commissioner BS Bassi in this connection. Actually before the appearance of Kanhaiya Kumar the lawyers were demanding to hang the traitor, and started to shout slogan. The lawyers there were divided in two groups and began the fighting among them. The police presence was outside the court there, but it was not able to control the ruckus of lawyers anyhow. 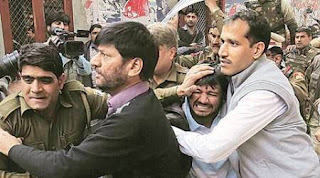 Kanhaiya Kumar was attacked by the lawyers during his personal appearance in the court; the lawyers surrounded and manhandled him; in spite of that, they threw some stones on media persons. The scuffling started between two groups of lawyers during the protesting demonstration. While seeing, the lawyers pounced on each other and started slapping. The media persons were targeted. On the hearing of Patiala house court security issue, the Supreme Court had directed the police to maintain the order in the court premises on Wednesday; but the claim of police on security unfolded within hours. The policemen outside the court were mere viewers and the lawyers’ chaos was continuing. Advocate, Vikram Singh Chauhan, was chanting slogans complementing with others: Bharat Mata Ki Jai and Vande Mataram. After the riot in Patiala house court Supreme Court summoned Delhi police. The apex court asked why did not arrange the required security in spite of being ordered? The apex court sent a team of commissioned 5 lawyers to assess the situation in Patiala house court. -Delhi police maintain the strong security of court premises. -Shouting of slogan in court premises be prohibited. -Only the case counsel may enter in court. -Only 5 media persons’ entry may be allowed in court room. -Only 25 media persons’ entry in court premises may be allowed.